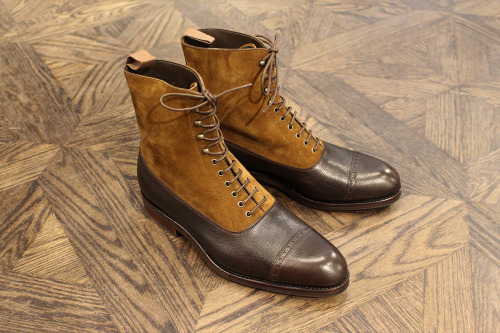 Carmina Balmoral Boot in snuff suede and grain leather. This beauty is now available in store. 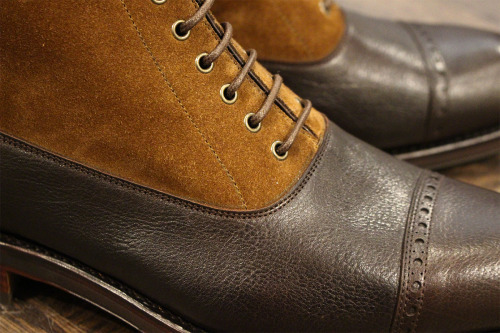 Style reference number 80345 and crafted on the Robert last.